Bragging rights: Are you afraid of the dark? 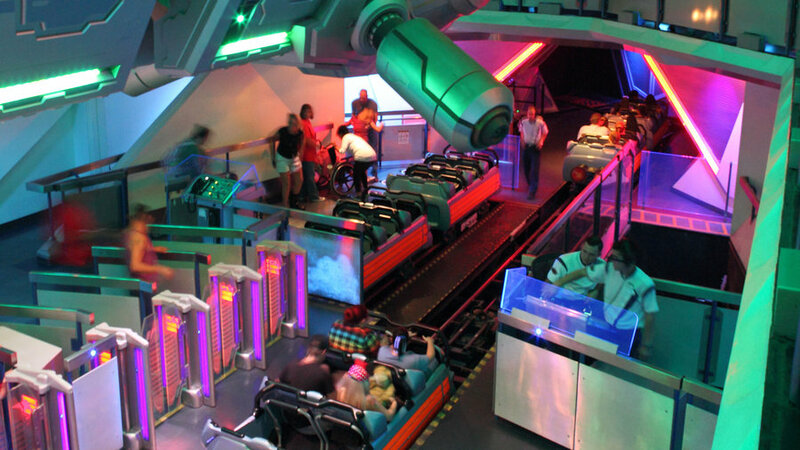 This indoor classic, which rockets around inside an unlit, 118-foot-tall mountain in Disneyland’s Tomorrowland, may make you reconsider. It opened in 1977 and is still one of the park’s most popular rides. 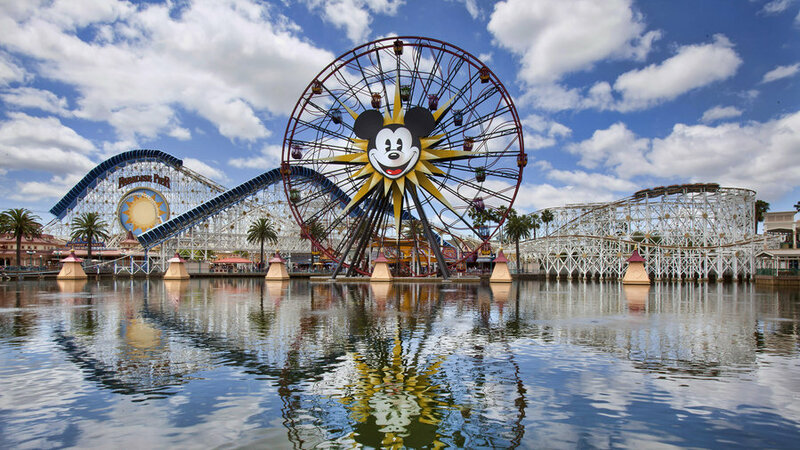 How to go: , Anaheim, CA. 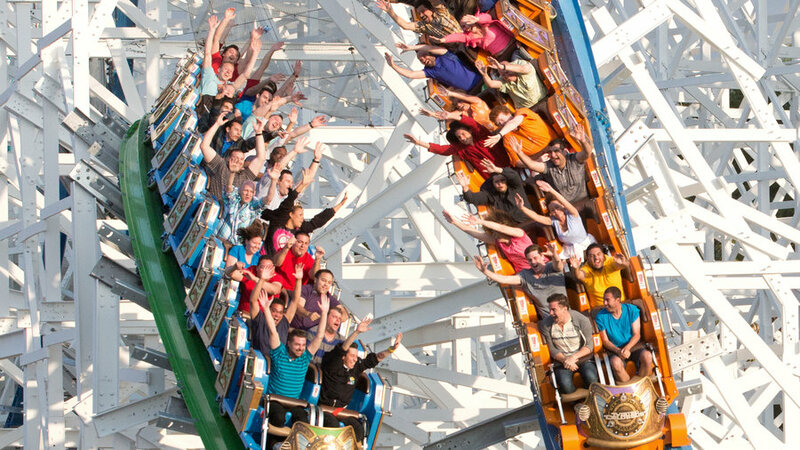 Bragging rights: The awesome name alone is enough to seek out this looping coaster near Salt Lake City. Add to that its impressive acceleration (its max G-Force is nearly 5 g) and design (it zooms along two, 65-foot diameter loops), and you’ve got a coaster worth traveling for. How to go: , Farmington, UT. 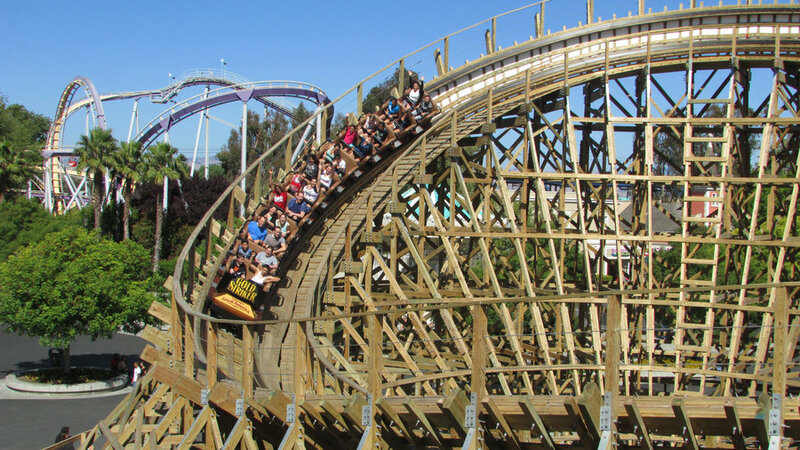 Bragging rights: Get ready for a bumpy ride: This red-and-white icon of the Santa Cruz boardwalk is a wooden coaster, which means you can feel every shake, rattle, and dip of the tracks. You might recognize the National Historic Landmark from the movies The Lost Boys and Dangerous Minds. 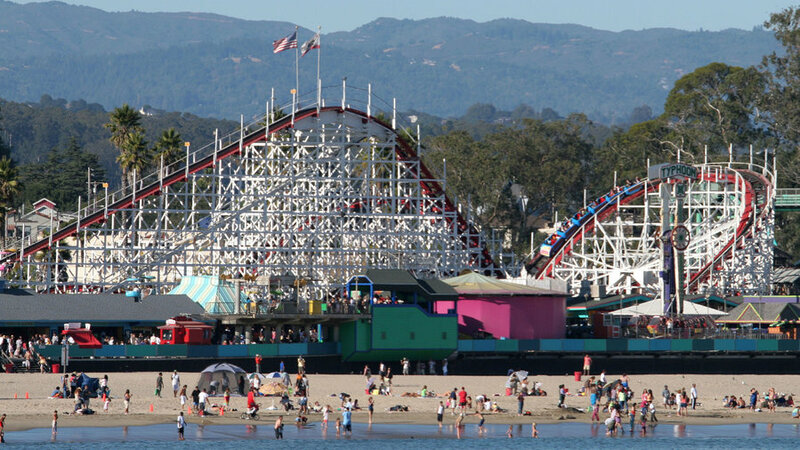 Built in 1924, it’s the fifth-older coaster in the U.S.
How to go: , Santa Cruz, CA. Bragging rights: This is an inverted coaster, which means your feet will be dangling in the air as it climbs 146 feet (14 stories!) 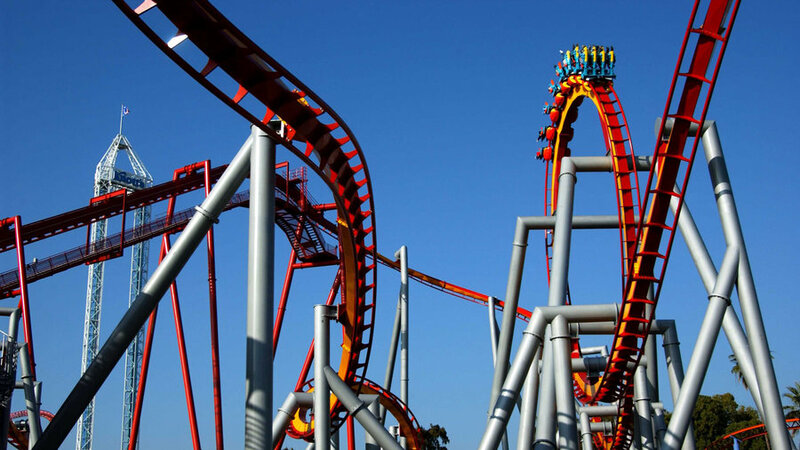 high, then plummets 109 feet before speeding into six upside-down loops. 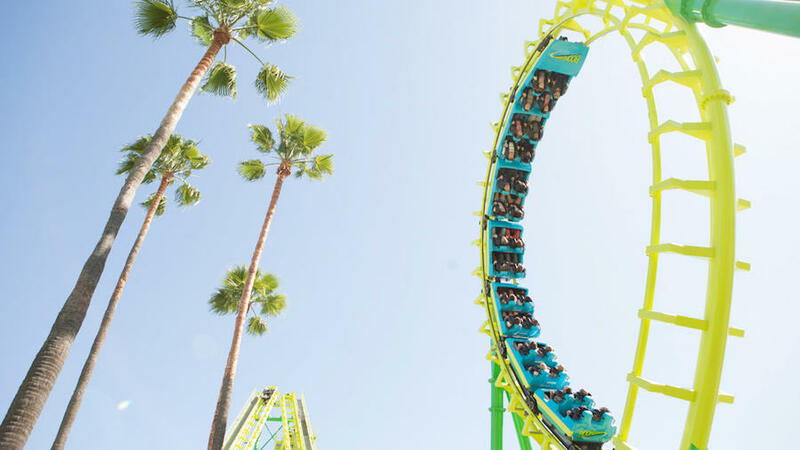 How to go: , Buena Park, CA. 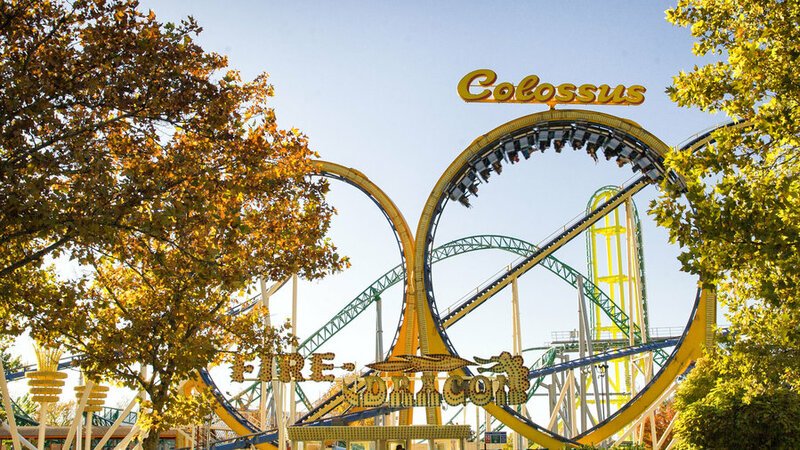 Bragging rights: Classic meets modern at Magic Mountain’s ride, launched in 2015: New steel tracks were built on top of the wooden frame of the park’s beloved, 1978 Colossus coaster, creating a brand-new attraction. Two cars race alongside—and occasionally loop upside down and on top of—each other. The biggest thrill? Either the 116-foot drop or the “Top Gun Stall,” an inversion during which the train slows down while upside down. Whoa. How to go: , Valencia, CA. Bragging rights: Another updated classic, the Twister II is based upon the Mr. Twister ride at Elitch Garden’s original 1890 location. (It moved to a new home right in downtown Denver in 1995.) Scariest moment on the Twister II? When the wooden coaster rumbles down a 90-foot drop into a pitch-black tunnel. 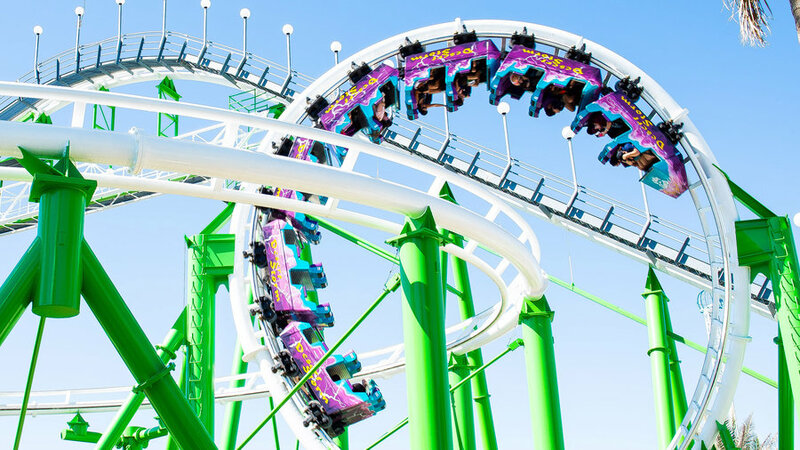 How to go: , Denver, CO.
Bragging rights: The only looping coaster in Disneyland, Screamin’ is also its newest and most intense ride. The steel tracks rise to nearly 120 feet—that’s 12 stories high—above California Adventure Park’s throwback Paradise Pier. 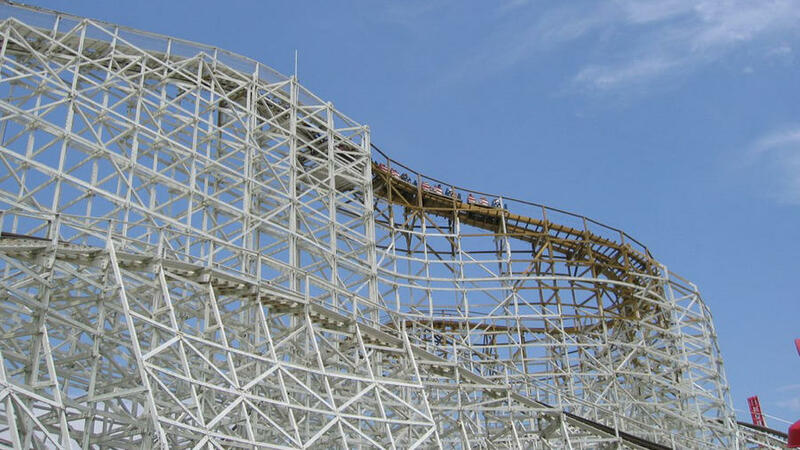 Bragging rights: This wooden coaster has the longest initial-descent tunnel in the world: the “Mine Shaft,” a 174-foot enclosed chute that—if you dare to ride it at nighttime—is pitch black. How to go: , Santa Clara, CA. How to go: , Phoenix, AZ. Bragging rights: This ride gets you coming and going. First you ride backwards up to the top of an 11-story tower, then down again through two corkscrew turns and a vertical loop—then the coaster travels the same route back again in the other direction. That means you’re being flipped upside down six times in less than a minute.